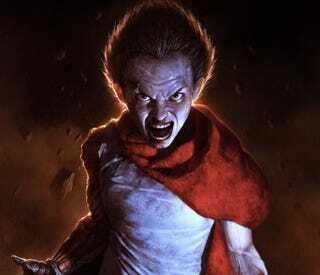 Warner Bros. hasn't given up on their live action, Americanized Akira movie. And now that the $180-million project has been stripped and streamlined down to an even smaller budget, director Jaume Collet-Serra (Orphan) is back on. But can you make Akira for less? Variety is reporting that the long road through development hell may be ending for the Akira movie. The new slim budget has made this feature a possibility. The studio did begin looking at other directors recently, including “Catfish” helmers Henry Joost and Ariel Schulman, in hopes of finding someone who could deliver a film on a more smaller scale. But ultimately, the studio was still in love with Collet-Serra’s vision, and sources say the director found time in his schedule as well as a new way to approach the adaptation that would meet the studio’s budget request. Collet-Serra originally bumped the budget down to $90 million but reports say they've gone even lower, which allowed for this bit of news. What's even more telling is the fact that Warner Bros. were looking at directors such as Henry Joose and Ariel Schulman. We wonder, has Akira been rethought as some sort of handheld, found footage feature? Similar to Chronicle? Collet-Serra is currently filming another thriller, so there's still plenty of time for everything to change. But one thing is for certain, Warner Bros. is hellbent on getting this movie made for less. No word if the rumored Collet-Serra Akira cast (Garrett Hedlund, Kristen Stewart, Ken Watanabe and Helena Bonham Carter) are still attached to the newly re-budgeted flick. Top image via Dave Rapoza.